Established in the year 2000, we “Satvik Foods,” are renowned manufacturer and exporter of optimum quality range of Flax Seed, Multiseed Mukhwas, Brown Flax Seed, Linseed Flax and many more. Our offered seeds can be used in preparing Mukhwas and as a medicine for diabetic patients, heart patients, BP patients, cancer patients, etc. We are supplying goods to big mega store, super markets and defense forces. Located at Vadodara (Gujarat, India), we are supported by advanced production base that comprises various units such as Procurement, Processing, Warehousing & Packaging, Quality Testing and Sales & Marketing. Today, there is a huge market for these types of roasted seeds which contains high ratio of Omega 3, Omega 6, vitamins, fiber and copper that helps in curing diseases like heart attack, diabetes, etc. 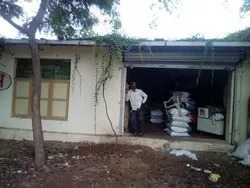 Our offered seeds are processed and hygienically packed at our hi-tech processing unit in conformity with defined quality standards under the supervision of quality controllers using sophisticated processing technology. These seeds are cherished among clients for features such as safe to consume, purity, distinct aroma, easily digestive, tempting flavor, free from additives, etc. The offered range of seeds is available in various packaging options at reasonable prices. Our fair business policies, customized packaging and affordable price range have made us the most preferable name in this domain. Organic farming in India is likely to be worth Rs 10,000 crore by 2015 from the current levels of about Rs 2,500 crore as per the ASSOCHAM. Indian organic food market is growing at a steady rate of 40% annually more so because of a growing population with high disposable income and rising health consciousness. Owing to our prompt delivery and excellent transport facility, we are able to deliver products to our clients across the nation. We are backed by capable team of professionals, who assist us in carrying out our entire processing operation in an effective manner. Our team members work in synchronize manner with one another to offer supreme quality range of seeds to clients in timely manner. Utilizing skills and proficiency of our professionals, we have been able to fulfill diverse requirements of clients. In our team, we have procurement agents, food experts, quality controllers, storekeepers and sales & marketing representatives. Being a quality-oriented company, we strive hard to deliver quality approved range of seeds in various packaging options. Our advanced production base spread over a large area and assists us in processing wide range of seeds. 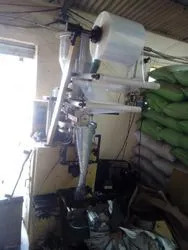 The processing unit is resourced with all the requisite machinery and equipment that allow our professionals to process and pack seeds as per the defined quality norms. Our production base comprises various units such as Procurement, Processing, Warehousing & Packaging, Quality Testing and Sales & Marketing. Besides, all our units work in cohesive manner with one another to attain goals of the organization.